Featured Athletes - Atlanta Sport and Fitness Training. ​Over the past two decades I have had the pleasure of working with many athletes on their strength and conditioning. 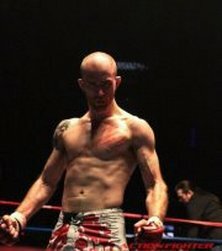 The sports I have worked with are: football, tennis, swimming, mixed martial arts (MMA), Brazilian jiu jitsu (BJJ), Muay Thai, boxing, wrestling, adventure racing, baseball, basketball, volleyball, powerlifting, kettlebell sport, parkour (free running), track and field, cross country, soccer, triathlon and more. These are a few of my athletes, past and present. Chris is a brown belt in BJJ and a member of Creighton MMA in Suwanee, GA. Chris started competing as a blue belt which is when I began working with him on strength and conditioning. Chris' first big competitions I worked with him on was the 2013 Lutador where he won gold in his division via six submissions. He's been on an absolute rampage since. Ryan is an amateur MMA fighter from Creighton MMA and is currently undefeated with a 5-0 record and is the Virginia Cage Fighting Championship Welterweight title holder. Logan is a purple belt in BJJ training out of Creighton MMA. Since joining Team EPTS Logan competed at the 2017 IBJJF Nogi World Championship and took silver in the adult lightweight blue belt division, he won gold at the 2018 Newbreed Ultimate Grappler regional qualifier, and won his match at the Submission Hunter Pro 24. Braulio is a brown belt in BJJ training out of Creighton MMA. Since joining Team EPTS Braulio took the gold medal at the Kakuto Challenge Grappling Championship in the gi division. 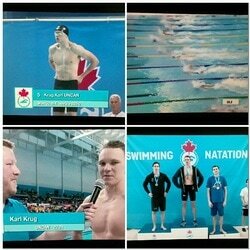 Karl is a competitive swimmer who specializes in the 50m and 100m freestyle and trained with me through his professional career from 2013-2016 after graduating from Auburn University where he was a 9-time All American. 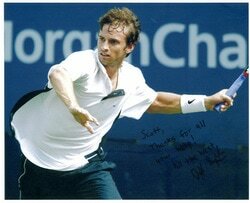 Jeff was an ATP professional tennis player who worked with me while he was training in Georgia during his career. Derrick is a raw powerlifter who competed in the 242 lb weight class. In 2011 he qualified for the Raw Unity Meet 4. David is a powerlifter who competes both equipped and raw. David holds elite totals in the 114 and 123 lb weight classes. According to powerliftingwatch.com his elite 123 class total of 1178 is ranked #9 best in American on the 132 lb class list. His 114 lb class total was 1100 done at a bodyweight of 111 lbs for a 9.91 x bodyweight total in single ply gear. Jason is a black belt in BJJ who trained with me for a few years while he was living in Georgia and a member at Creighton MMA. After training with me he won gold in the no gi and silver in gi in his division at the 2011 Grappler's Quest in Dalton, GA and went on to win and place in numerous BJJ tournaments throughout his competitive career. 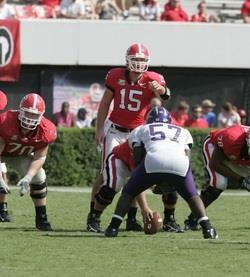 Blake was a quarterback from the University of Georgia who trained with me for his pro day and prior to beginning his professional career with the European Federation of American Football for the Calanda Broncos. Kennedy played volleyball at Chattahoochee High School and played for the A5 Club team in Georgia. She worked with me on her strength and conditioning after dealing with a series of injuries prior to collegiate career at Virginia Tech. She is currently playing professionally for Evreux in France. Jennifer did her strength and conditioning with me while playing at Roswell High School where she was selected as the Region 6AAAAA player of the year and first team all region as a junior and senior. In addition she led the A5 Club team to a silver medal at the USA Open Nationals and AAU Open Nationals before going on to play her collegiate career at Harvard University. 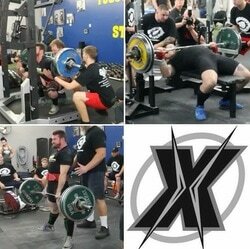 Doug is powerlifter in the 198 lb weight division I've done programming and coaching for over the past year. He has competed equipped and most recently raw. 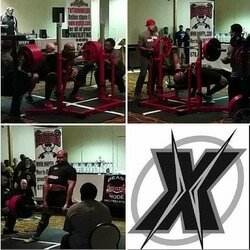 Ty is a raw powerlifter competing in the SHW division. He came back from an injury and started training with us at the EPTS Gym and recently completed his first full powerlifting meet since high school, setting USPA State records for his division in the process. Craig is a raw powerlifter who has competed in the SHW and 308lb classes. He is pretty new to the sport and has only competed in two meets so far. 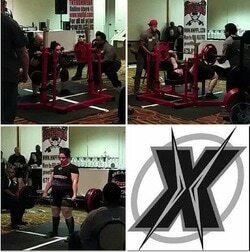 Amanda is a raw powerlifter who competes in the SHW division. She has only trained with me for a little over a year, and despite chronic knee problems, achieved her best lifts while training at my gym. 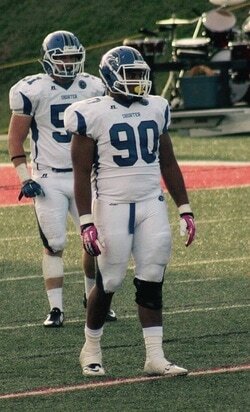 Freddie is a collegiate football player who is currently playing for Shorter University. He does his off season strength and conditioning with me at Extreme Performance Training Systems. 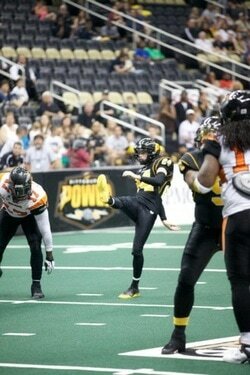 Geoff Boyer is a professional football player who played in the Arena Football League. He did his strength and conditioning training with me at EPTS after playing at Middle Tennessee prior to joining the professional ranks. 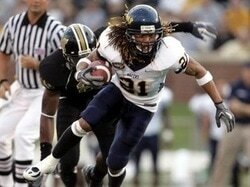 Jonathan played football at Murray State and did his strength and conditioning with me while preparing for various combine events. After working with me Jonathan nailed a 4.31 personal record in the 40 yard dash. A little undersized for pro football he is currently doing well in competitive MMA. Andre was an ex-collegiate sprinter and former Army Ranger who joined our powerlifting team while looking for a new competitive outlet. In less than a year he hit some solid numbers a raw powerlifter in the 198 lb division. 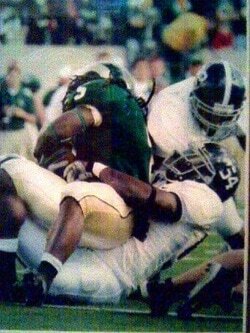 Cory played outside linebacker at Georgia Southern University and started doing his strength and conditioning with me as he prepared for his school's pro day. Cory made exceptional progress in less than 8 weeks. Unfortunately, even with a great pro day, the scouts all felt he was too small to play LB as a pro. vertical jump - 29.5" to 39.5"
Noah is an exceptional young running back for Jefferson County High School who began doing his strength and conditioning work with me as he is going into his college recruiting events and his senior year. 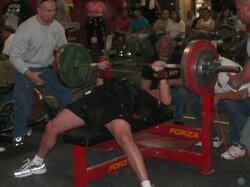 ​Malcom is an equipped powerlifter in the 198 lb weight division. He competed as a bench press specialist while training with me at EPTS. Andrew is a mixed martial artist who did his strength and conditioning with me shortly after going pro. 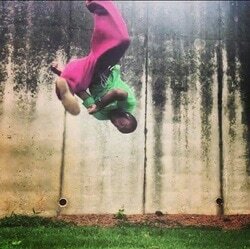 Howard is a professional parkour athlete who wanted to add more strength and power to his free running game. 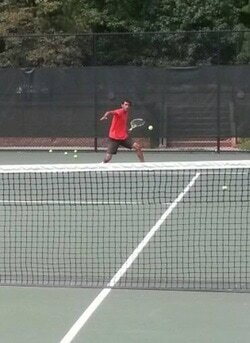 Jayman is an exceptional young tennis player who worked with me to build strength, speed, size and power to enhance his tennis game.